Perfect for your outdoor bar-b-que, party or other special event. 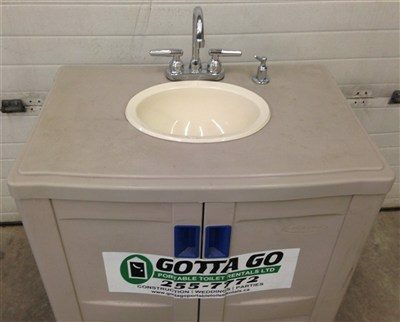 We have various sizes of stand-alone, double-sided sinks that can handle 15-60 gallons of clean water, stored on one side of the station. The dirty water is not drained on the ground but into the empty side of the station to retain balance. 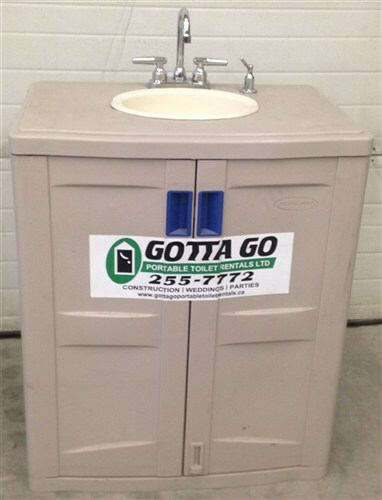 We also have single wash stations that are equipped with a heater to give you hot water for washing. This water is not to be used for drinking. All stations come with paper towels. To add that bit of TLC to your event, try a Sani-Sink!! 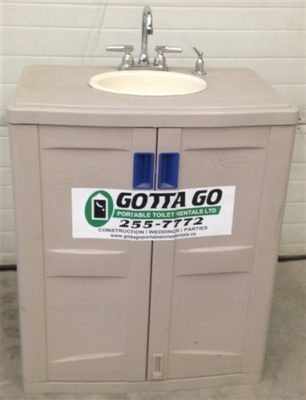 Warm water dispensed for your guests comfort. Great for office parties or events! New in 2013 – For that special event where you want to make your female guests feel extra special, we now have PINK TOILETS. These are just like the regular event units….. BUT NO URINALS!!! Sometimes, separation is a good thing. 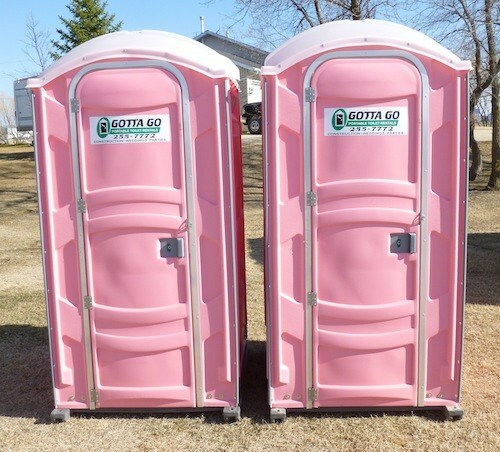 For those of us, young or old, that need a little extra space, these units can meet those needs. 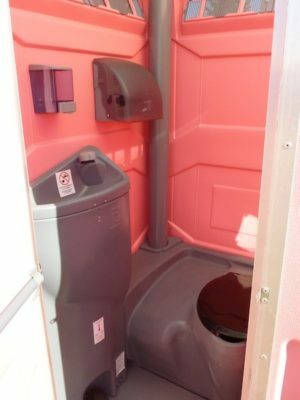 Very clean and used only for special events.